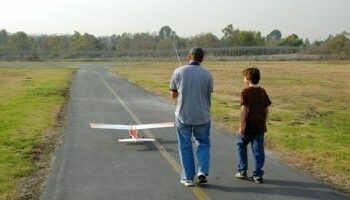 Fathers Day ideas are easy to come up with when you realize that all you need is in your own back yard. You’ve spent your very last ounce of brain power finishing the school year, now in the first few days of summer break, before the dust even has time to settle you are blind sided by Father’s Day. It shouldn’t be that way; it is the second Sunday in June and has been so for decades. Yet there you are scrambling last minute for an appropriate way to honor dad. 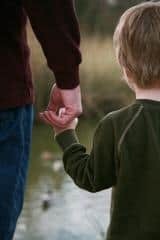 Whether you choose to put the last minute scramble on hold this year or proceed as usual here at a few ideas that will pull together nicely, quickly and really let dad know he’s tops. While mom is usually best honored by giving her a complete day of R&R, Dads genuinely enjoy pitching in if you speak the right language and prepare properly. BBQ and DAD have been tossed together for eons. Make the most of the pairing this Father’s Day. Pull together foods worthy of the grill and get cooking. Great grilling is yummy; it pleases kids and adults alike. Another beauty part of the backyard grilling experience is that the whole family can gather together in the yard while the meal cooks. Keep stress at bay by keeping it simple. There is no need to complicate this with the needless frills. Those fancy, foofey things are usually for mom’s sensitivities anyway. Dads like the simplicity of being together without the stress of preparation and hassle of clean up. Honor dad by doing things just as he’d do them, even if it goes against your grain a bit. It is his day after all. To that end kids like hot dogs and chips, let them have them. If you want to dress it up a bit, get bratwurst or steaks. Dad is not going to mind eating a great sausage or a T-bone, if he really has to. Spread out a quilt and eat right there on the grass off of paper plates. Want to include a fancy potato or macaroni salad? Make it the night before so the mess and prep work don’t land on Dad’s Day. Foods that do well on the grill: hotdogs, hamburgers, steaks, chicken (choose cuts that have the bone in, they don’t dry out on the grill). What about veggies? Cut a variety of zucchini, yellow crook necked squash, asparagus and green, red or yellow peppers, soak in salted water put onto to the grilling rack and brush with olive oil. Grill until lightly charred on both sides, they will be a crowd pleaser every time; all with virtually no mess or fuss. The grill can even prepare a great dessert. Wrap marshmallows and chocolate sandwiched by gram crackers in aluminum foil and toss them on the warm grill. When they are warm and toasty enjoy your BBQ s’mores. To keep the kids and Dad occupied while the food cooks get a few out door games. Water guns or balloons are great. Dads are usually overgrown boys and will like the chance to just cut loose and play with the kids. Get a football to toss around or a baseball, a few mitts and a bat. Dad is more into another sport? Then prepare for his particular passion. At dinner honor Dad by having each family member share their special memories of Dad. 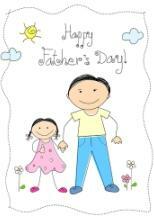 This is a great way to pass the afternoon, allow dad to feel loved and escape from his daily grind. In essence the perfect Father’s Day.